Houses & Homes VA: 8 Things You Probably Didn’t Know About Richmond, VA! 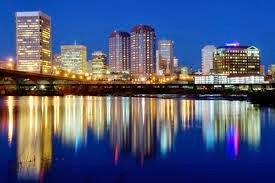 8 Things You Probably Didn’t Know About Richmond, VA! Richmond is a great place to live. It’s big enough to please any city dweller but still small enough to maintain much of the rustic charm that it’s known for. Richmond is a very modern city but still manages to preserve its rich heritage and numerous historical treasures. Though most people are aware of Richmond’s importance in the founding of our great country there is a lot about this fine city that many people are not aware of. Here are some interesting facts about Richmond that you need to know! The city of Richmond is not part of any county. Many people assume that Richmond City is located within Richmond County but actually it is not. It is in fact a completely separate entity and is located between Chesterfield and Henrico counties. The City of Richmond was one of the first cities in the entire country to enjoy an electric streetcar system as a means of public transportation. It is also the very first place that the electric trolley was tested. Richmond’s current population is estimated to be approximately 212,000+. Whether you enjoy music, talk radio or sports it’s nice to know that local residents enjoy 8 Am and 9 FM radio stations. The United States Court of Appeals for the Fourth Circuit is located in Richmond. Interestingly this appellate court not only has jurisdiction over the entire state of Virginia but also rules over the majority of North Carolina, South Carolina, and the neighboring state of Maryland. Now that’s one that I didn’t even know! During the civil war Richmond was considered to be the capital of the Confederate States of America. Everyone remembers the famous quote “Give me liberty or give me death”. Well, that famous phrase was part of a speech delivered by Patrick Henry in 1775 right in the heart of good ole’ Richmond! Past U.S. presidents James Monroe (our 5th president from March 4, 1817 – March 4, 1825) and John Tyler (our 10th president from April 4, 1841 – March 4, 1845) are both buried in Richmond. Although the city of Richmond is considered a subtropical climate it does enjoy 4 distinct seasons throughout the year. In fact, this past February 13th the city experienced a snowfall of over 12 inches. That’s one way to get a day off of work!